Hey everyone! 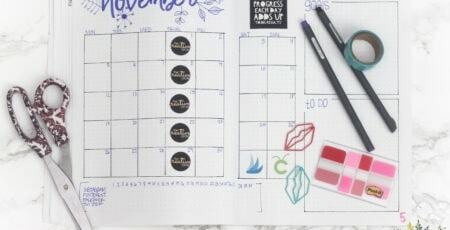 I’m so excited because I’ll be joining a monthly series based all around using my Cricut! It will be myself and 16 other bloggers. 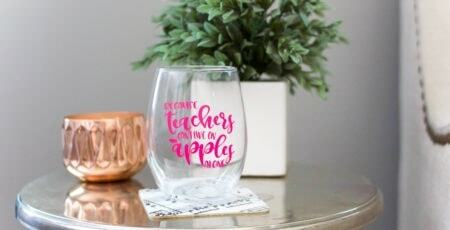 We will be given a new item each month and we are to create something with our Cricut machines. 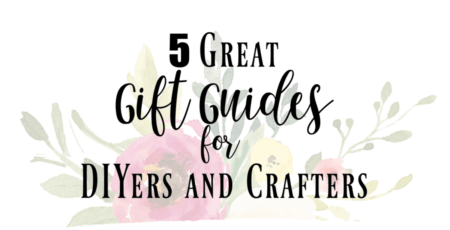 I have the Cricut Explore Air 2 and so a lot of this will be a learning curve for me. I will need to learn how to cut other materials besides iron on, vinyl and cardstock. This month’s mystery material was felt so I had to do some research on how to cut it on my machine. 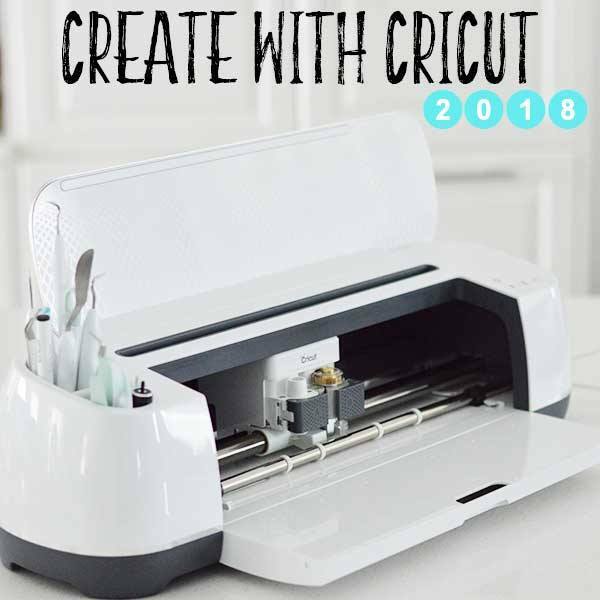 The new Cricut Maker has a specific setting for it! I’d love to upgrade at some point! Like I said I had to do a little research on how to cut felt on my Explore Air 2. 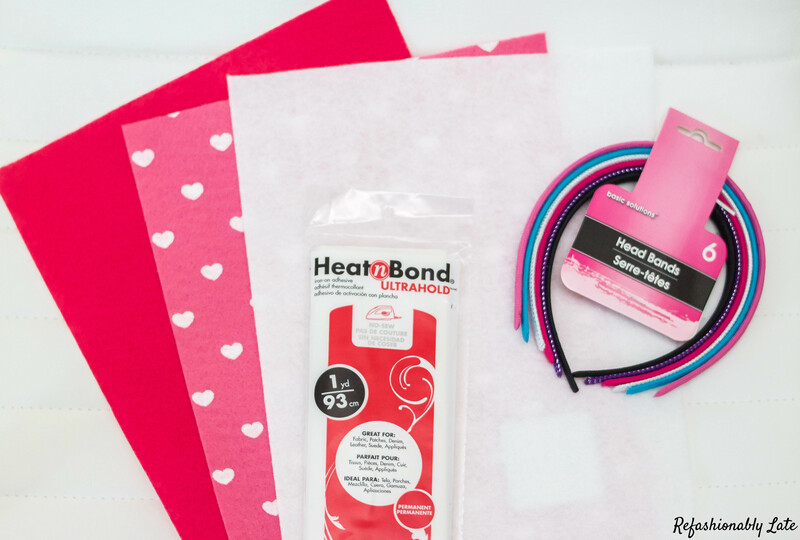 After reading a few different blog posts I found that using Heat Bond Ultra Bond was the best choice. All you have to do is cut the Heat Bond to the size of your felt and iron it on. I used my Cricut Easy Press and put it on the iron-on lite and 100% cotton setting. Held it there for a few seconds and it adhered to the felt. Once the Heat Bond was in place then take off the paper backing on the Heat Bond. Then place the Heat Bond side down onto a StrongGrip Cricut Mat . Insert your Deep Cut Blade into your machine and put the dial on custom settings. You can then click on Felt with backing in your settings on your computer before you cut the felt. 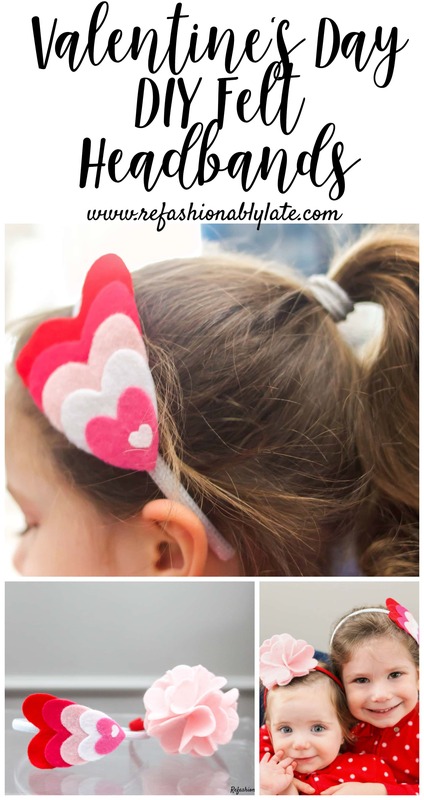 Now that we’ve got the cutting process out of the way I’d love to share how I made my two little headbands. I bought 2 packages of headbands from the dollar store and got a bunch of felt on sale at JoAnns. 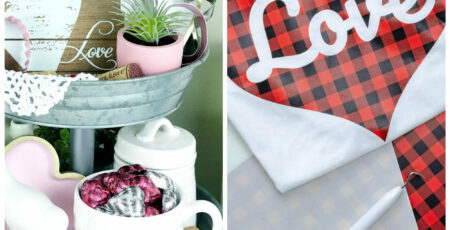 I then went into Design Space and found a heart in the images folder. I then made the biggest heart to be about 3×3 inches. I then copied and pasted and made each heart a little bit smaller. Next, I color coded them so it would cut on different mats when it was time to cut it. After each heart was cut I then used my Easy Press to stick them together. They already had the Heat Bond backing so they would stick together great with a little heat. After they were all stuck together then I used my hot glue gun and glued it to the headband. Easy peasy lemon squeezy! For the second headband, I used a premade design on Design Space. 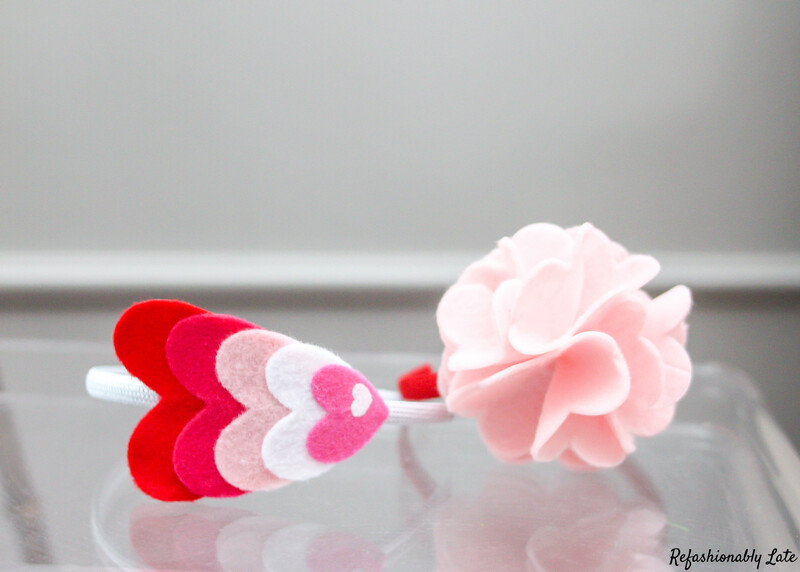 It was a simple and adorable Felt Flower Headband. 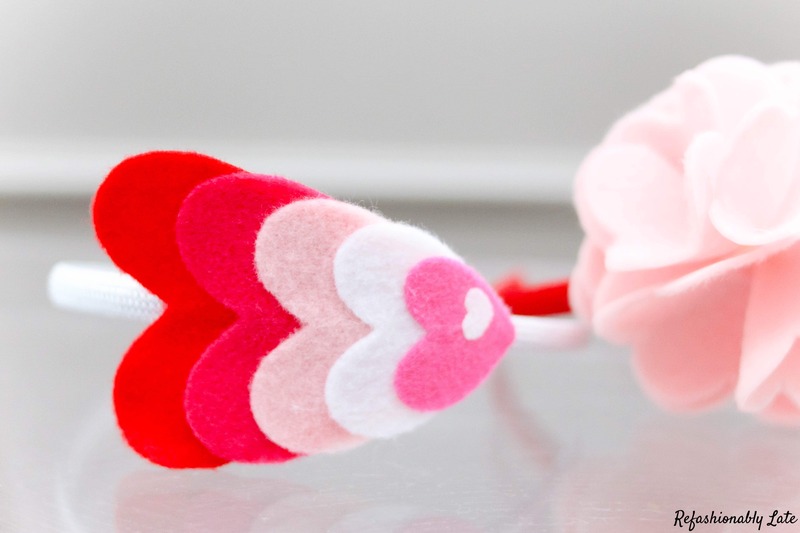 I used a light pink felt and used the same process that I did for the heart headband. You then use one flower as the base and then I used 4 flowers to create the 3D flower. The last flower I used to connect the first flower to the headband below. 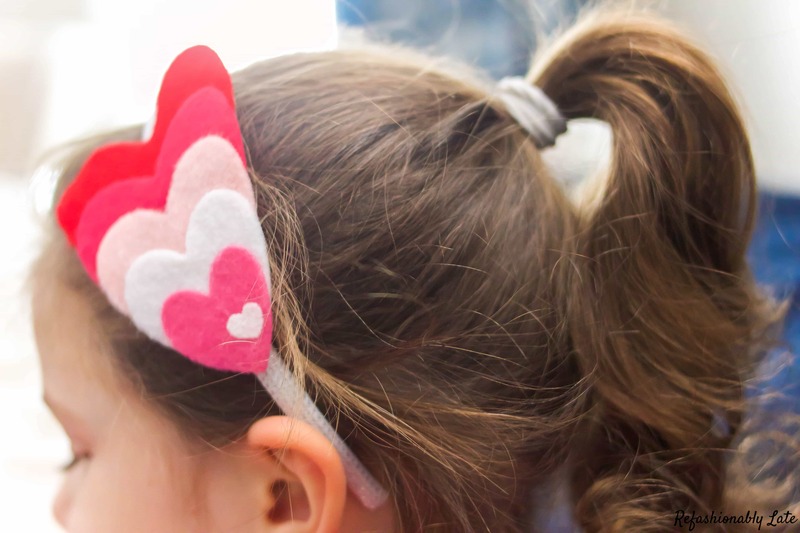 Both headbands only took a few minutes and they are a great addition to you or your children’s Valentine’s outfits! Thanks so much for joining in and keep an eye out for next month’s mystery material! 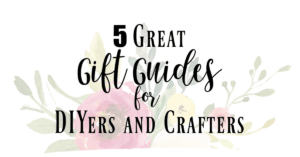 This monthly group is really going to test my creativity and force me to learn more about my Cricut. I love this! Have a wonderful Wednesday! Those are just the cutest! Nice job, and thanks for the tutorial! Thank you so much, Stephanie! 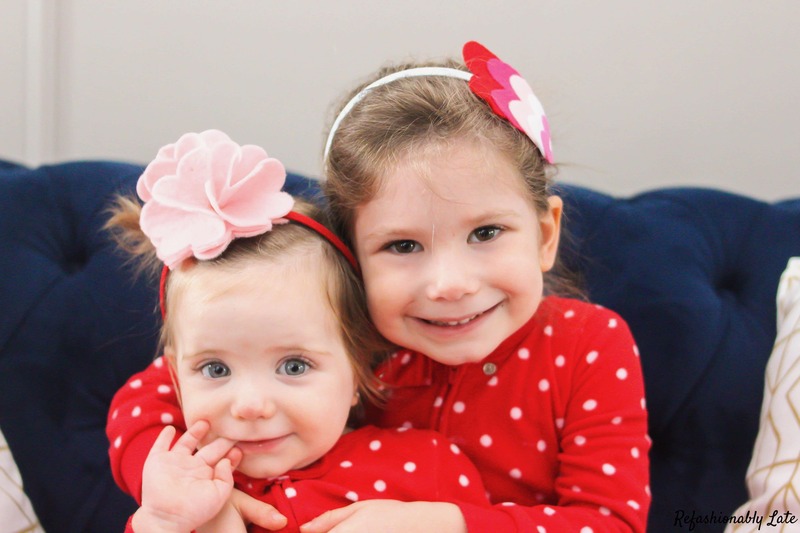 My girls love them!